Charleston Security Services is head quartered in the city of Charleston, South Carolina. 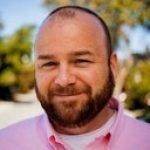 The founder and CEO of the company, Mr. Dean Rommes has over 15 years of experience in the security industry and started his own business in 2011 to provide quality security products for homes, restaurants, warehouses, and hotels. Today, the company provides security services in 11 cities in the State of South Carolina and is a member of the local Small Business Chamber. Charleston Security Services does not provide any yearly contractual obligations and customers can renew their subscriptions on a month to month basis. This is rare in the industry and certainly an advantage for new customers. The company has also received an A rating from the Better Business Bureau (BBB) signifying the quality of services and customer support offered. They provide a wide variety of equipment to choose from and their wireless services are powered by Alarm.com, which is one of the most well-renowned suppliers of remotely accessible security systems. Also, due to the company’s large network in the State of South Carolina, they are able to quickly respond to customer problems and are known for quickly resolving issues. While the company does have a large network in South Carolina, it does not provide regular services to a number of cities in the State. The company claims to be able to reach each and every city in South Carolina, but there is no substantiated evidence of the kind of services and support they can provide in these areas. Furthermore, their website lacks important information such as details on monitoring plans and terms and conditions of using their services. To go around this, a new customer would need to arrange for the company’s technician to come over and provide recommendations on the kind of plan they should buy. This is a free service but would seem like an unnecessary hassle to most new customers. The company also does not provide any online live chat support, something which is increasingly becoming common among many service based organizations. Charleston Security Systems is a good choice for people living in South Carolina. They have a no contract obligation and provide a variety of products and plans to choose from. However, no detailed information is provided on their terms and conditions and even the plans they offer and it is recommended to check with the company and get as much information as possible before signing up. 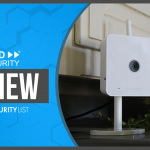 Plan 1 – $99/month: This is a basic, easy-to-use security system which can be used for any family sized home or a simple office. It comes with a traditional touchscreen panel which has wireless connectivity. Plan 2 – $199/month: This security plan is ideal for home and office use and comes with a start-of-the-art touchscreen panel, making it the easiest and most intuitive way to manage a security system. Ability to remotely arm or disarm the Alarm. The company’s monitoring services are powered by Alarm.com. 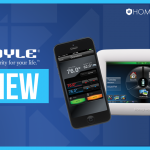 They are also an authorized dealer for Control 4, which supplies all of their home automation products. Some equipment is provided by Charleston Audio & Visual Systems. The company has great reviews for customer service which is available via email and phone 24/7. However, their website lacks the popular live chat support service which many new customers usually find extremely helpful. The company does not have any contractual obligation for equipment purchased through them. Customers can pay on a monthly basis and cancel their subscription anytime. However, there are some ambiguities on the monitoring plans which are powered by Alarm.com, and no details are provided on their website regarding this. Charleston Security Services has an excellent reputation in the state of South Carolina. Their products are not the cheapest in the market but their focus on the local area has helped them provide great customer support. Nevertheless, it is recommended that anyone trying their services for the first time, should get more information on their monitoring plans and contracts. The website does not mention any terms and conditions and no details are provided on cancellation charges or transfer fees.